20. 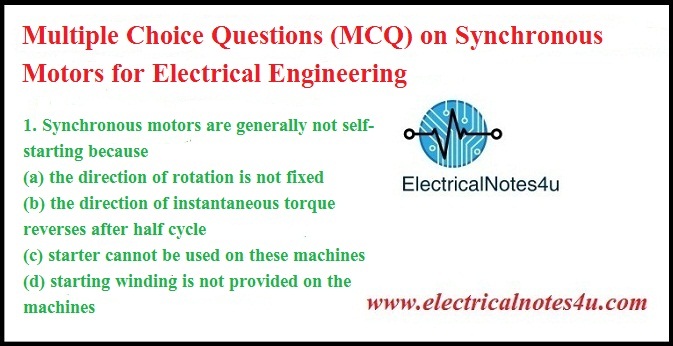 When the voltage applied to a synchronous motor is increased, which of the following will reduce? 23. Which of the following methods is used to start a synchronous motor ? (a) the supply voltage and the back e.m.f. (b) magnetising current and back e.m.f.